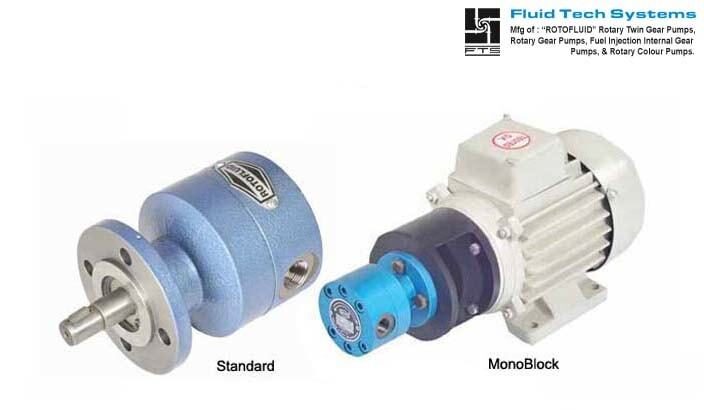 Fluid Tech Systems offers “ROTOFLUID” brand gear pump Model “FTMP” (Lubrication Oil Gear Pump, Gear Box Oil Lubrication Pump, Mini Rotary Gear Pump, Crusher Gear Oil Pump) which is compact size and flange mounting type positive displacement Trochoid gear pump. 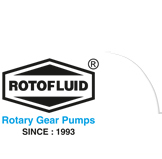 The design of the pump is geroter based. Due to accuracy of the geroters, the whole pump assembly becomes compact and absolutely free from any noise. Based on mounting, these pump are made of flange type. These pumps are widely used where minimum flow of liquid is required. Simple and compact designs of Monoblock pumps are available in this model. Monoblock version is very easy to portable one to another place and it does not require to align every time when coupled with electric motor. Monoblock version save space and reduces down time. Compact and good finish monoblock pump assembly motor makes it a noiseless proposition. Both reversible and non-reversible options are available. smooth running and Low noise. Maximum suction head is 1 meter at 1500 RPM, keeping pressure line open. Low pressure hydraulic power packs.